Learn weak points and fighting strategies to improve your chances of destroying the Object 252U Defender. The Object 252U is a brand new Premium tank released back in February, and tankers everywhere are already asking how to destroy the Object 252U Defender. While it's a beast of a tank to deal with, there are always methods you can utilize to take down this Goliath. The Object 252U comes in two different flavors, the Object 252U and the Object 252U Defender, the latter of which comes with its own permanent camouflage that increases the stationary concealment from 6.95/1.25 to 8.09/1.46 and the moving concealment from 3.48/0.63 to 4.62/0.83. 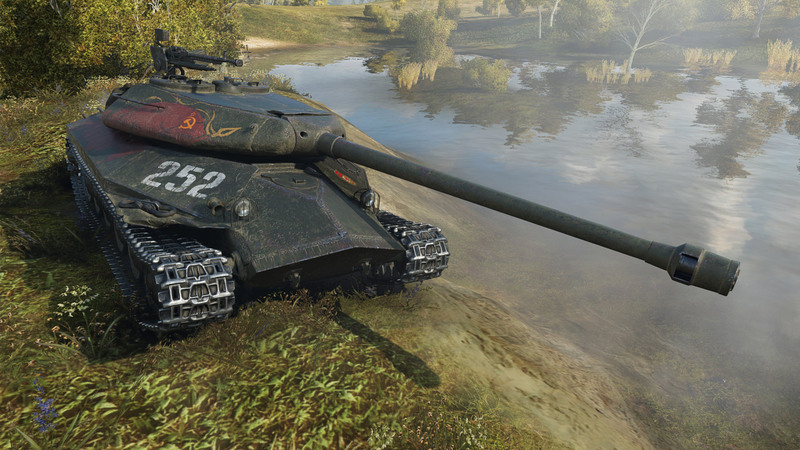 In this article, we’ll be looking at the Object 252U Defender. The Object 252U Defender is another Tier 8 Soviet Union tank, boasting similar stats to the IS-6. However, both can be destroyed when proper strategies are imposed. As with all new Premium tanks on the block, it’s important to understand the tank's statistics before diving into battle. 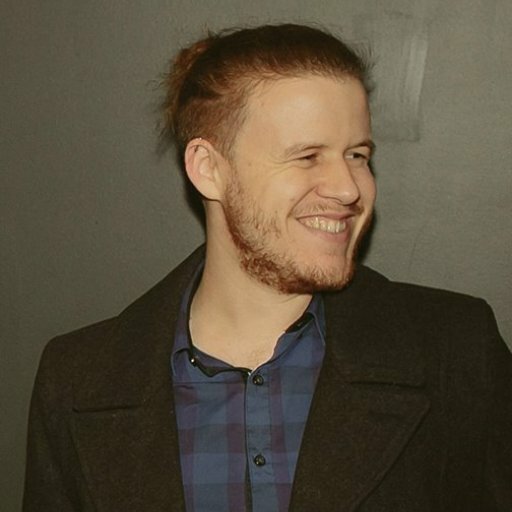 A slight change in stats from one tank to another can drastically alter how you play, or could further solidify a particular playstyle. On top of this, knowing the Object 252U Defender's stats is the first step in learning how to destroy it. The Object 252U Defender is a Tier 8 Soviet Union Premium tank, so it feels only right to compare it to the IS-6, a similar Premium tank and one of the best premium tanks in World of Tanks. 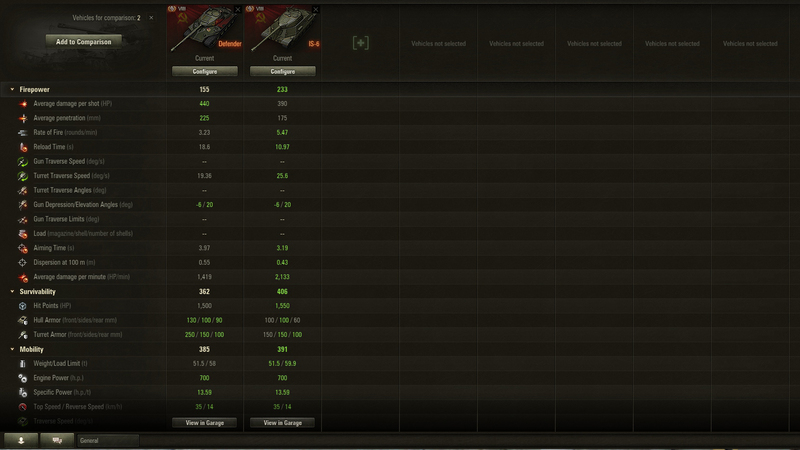 In the image above, you can see a few of the tank's in-game stats. The Object 252U Defender offers greater DPS and greater penetration, while its rate of fire and reload times are slower than the IS-6. A few of the Soviet Heavy tanks are renowned for their ability to take a hull down position, and the same holds true for the Object 252U Defender. With 100mm more frontal turret armor than the IS-6, the turret is nearly impenetrable from the front. However, this doesn’t mean it’s invincible. The best place to aim when trying to destroy the Object 252U Defender is at its rear armor, though there are other locations, such as the cupolas, that suffer from comparatively poor armor as well. Learning how to destroy the Object 252U Defender is extremely important, as it will feel (at least in the first few weeks) like you're running into this tank in almost every battle. While a unicum player can make even the worst tank in World of Tanks feel good, the Object 252U Defender is still formidable, even in the hands of a tomato. In order to destroy the Object 252U Defender, you will need to aim for its weak points, of which it has few. The main weak points on the Object 252U Defender are the commander hatch and the loader hatch on the turret. Essentially, these two cupolas are the only two weak points on the front of the Object 252U Defender. If you can hit them, you should have a better time penetrating its armor. Above the tracks and below the angled hull is another key location to aim for when facing off against the Object 252U Defender. These spots are located on the side of the tank. While you're there, you should also try aiming at the turret ring. Another place to shoot the Object 252U Defender in terms of penetration is at the rear of the tank. There, the Object 252U is limited to just 90mm of rear hull armor and 100mm of rear turret armor. The main section of the hull you want to be aiming at is the lower portion of the hull armor. This is the Object 252U Defender's weakest point, and when exploited, will help guarantee your eventual success in destroying it. The Object 252U Defender has an extremely powerful gun, so try to avoid getting shot (obviously). When it does shoot, use its lengthy reload times to relocate or fire off a few shots of your own. Now that you know how to destroy the Object 252U Defender, you need to put that into action through fighting. It may be intimidating at first thanks to its abundant armor, but the Defender does suffer in a few areas including in its aim time, accuracy, and reload time. Use these negatives to your advantage by pushing an attack after it fires, or while it’s trying to aim. As always, if you’re a low-tier tank facing the Object 252U Defender, stick behind cover and try to only attack it when you can guarantee your safety, as a shot from its high-alpha damage gun will be enough to severely cripple your tank. New Premium tanks always go through a phase of feeling unbeatable, but with enough practice and research, you’ll be able to knock them down a few pegs! What do you think of the new Object 252U Defender, do you have any neat tips on how to better destroy it? 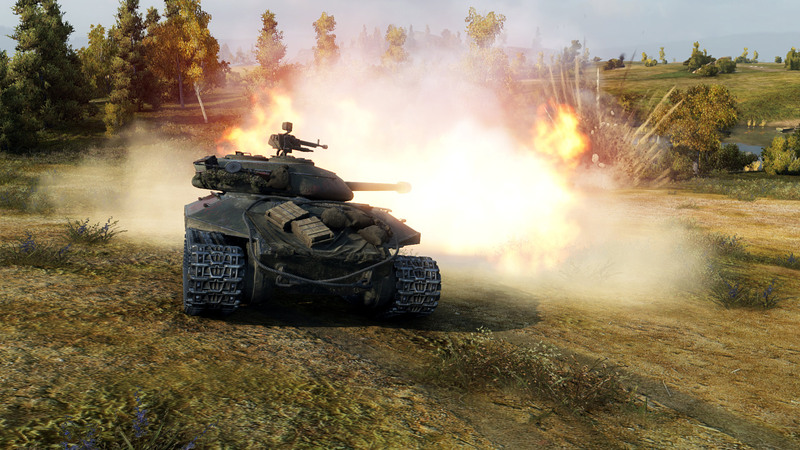 Let us know in the comments your ideas on how to destroy the Object 252U Defender.